Guys! Guys! I am so excited! From Dec 9 through Dec 22nd, Virtual Writers will be hosting a book tour for The Boys of Summer! I’ll be doing interviews, blog posts on writing and other thinky-thoughts, a live Twitter chat and more! If you’re on Facebook, and would like to join the event there, you can do so here. The Book Tour dates and event schedule are available here–as well as the details for the giveaway for a $50 gift card from Amazon! I would deeply appreciate it if you guys could spread the word as much as possible, and if you have the time and inclination, stop in on the various blog posts and leave a comment when the tour starts. All comments will get you entered at a shot for the gift card, so you are doing something for yourself as well as me! While is *is* possible for me to hold a conversation with myself (did you doubt it? No, I thought not…), it is so much more fun to chat with people. I would love it if you could join in the fun. Feel free to invite your friends to join the event on Facebook, and if you don’t know my Twitter name, it’s @SarahMadisonFic. During this same time, I expect to hear the announcements on the winners in the 2013 Rainbow Awards. TBOS is a finalist in the awards and the cover art, done by the incomparable Reese Dante, is also up for an award. I truly have no expectations of winning an award–it is truly an honor to be one of the finalists–but Elisa Reviews is also celebrating with a Pre-Awards Party in which ALL the authors whose stories made the finals will be hosting giveaways. So go check that out, too, while you’re at it! If you’re not into Twitter or Facebook, I will be leaving reminders on the tour here when it gets closer to the time. Come join the fun! Better yet, tell all your friends, too! 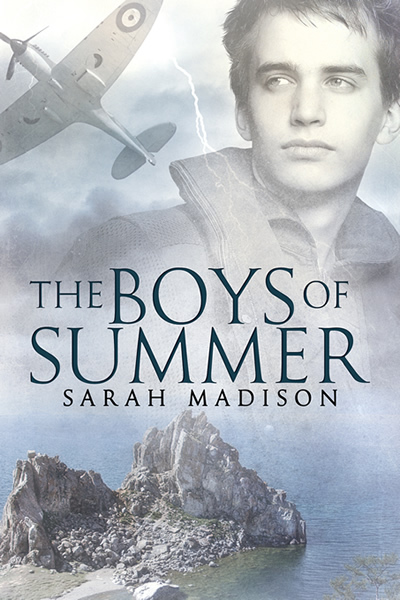 This entry was posted in Uncategorized and tagged announcements, awards, contests, guest blog, interviews, promo, Sarah Madison, The Boys of Summer, writing by Sarah Madison. Bookmark the permalink.